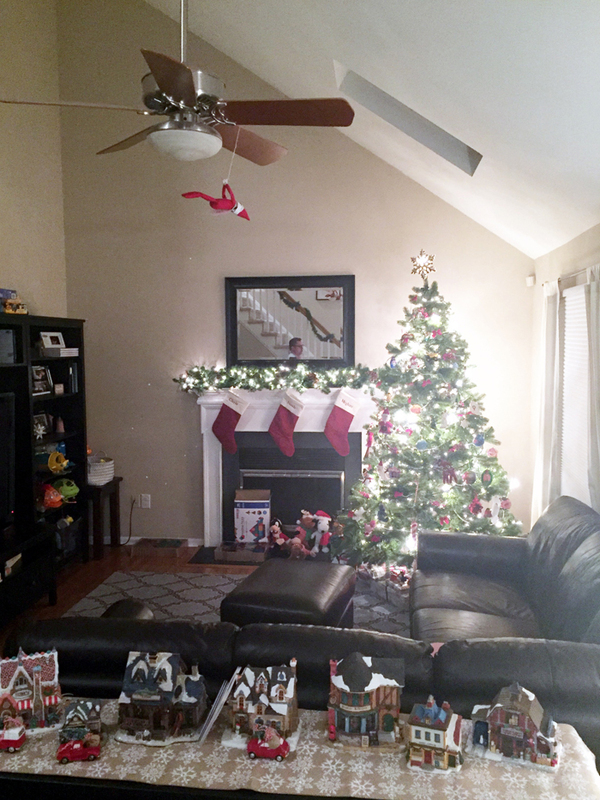 Last year was the first year we did the whole "elf on the shelf" thing. We decided to wait until Noah was old enough to really appreciate it. 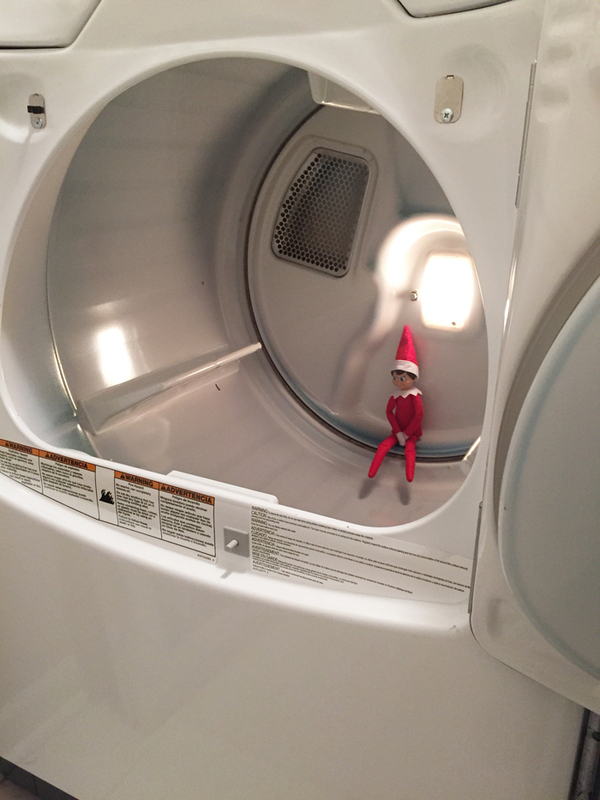 While our elf doesn't cause problems or make messes, he does move around each night and get himself into some pretty funny situations. 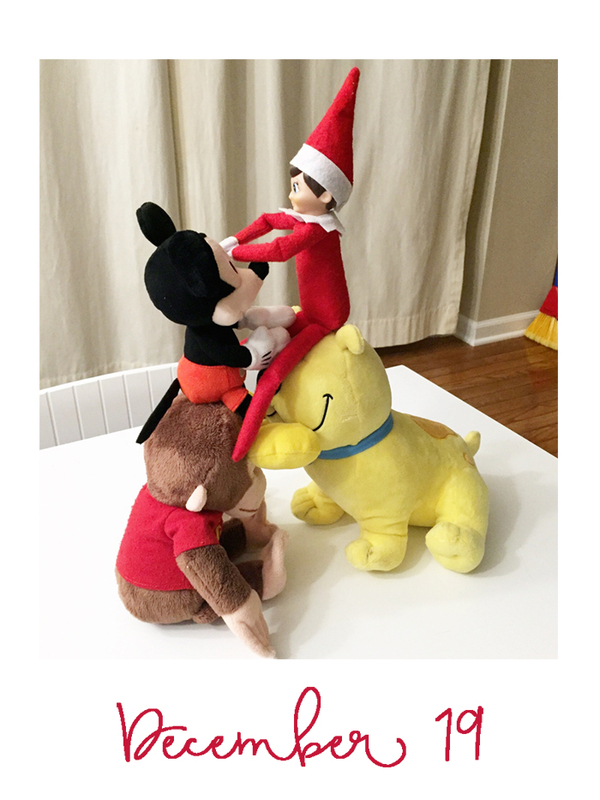 And while I would love to take credit for Buddy's creative shenanigans, I can't... it's all thanks to Chris. 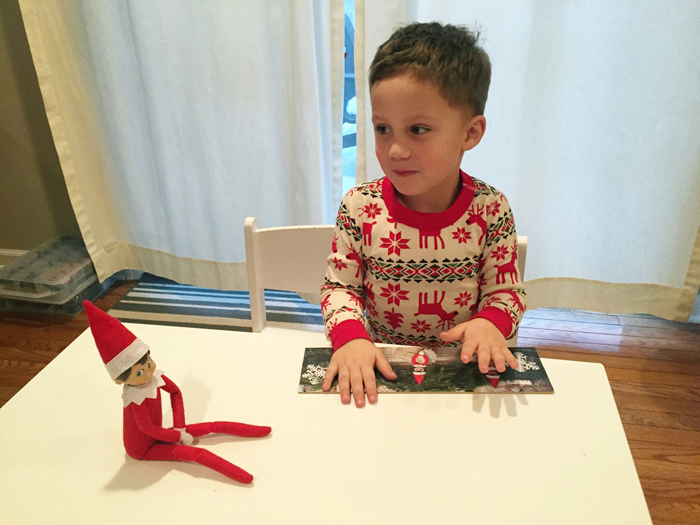 As soon as we started talking about starting the elf on the shelf tradition, he was vocal that he wanted to have creative control. 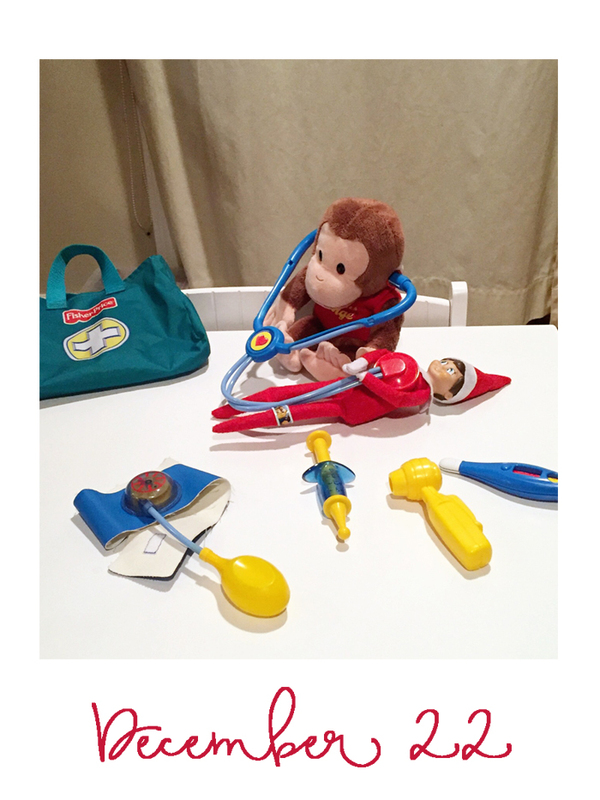 He comes up with all the ideas, executes them, and then sends me nightly photos of what Buddy is up to. Every morning, I record Noah looking for Buddy. 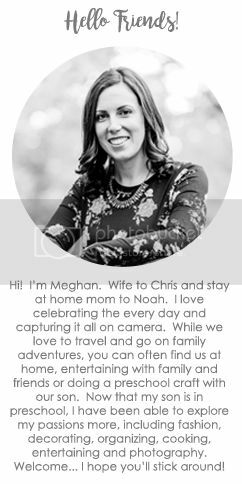 Even though Chris can't be there every morning, he at least gets to see his reaction (which is usually pretty funny) on video... and I get to have a month's worth of videos for documentation purposes! Noah kept requesting that Buddy hang from the ceiling. According to him, the zip line didn't count. 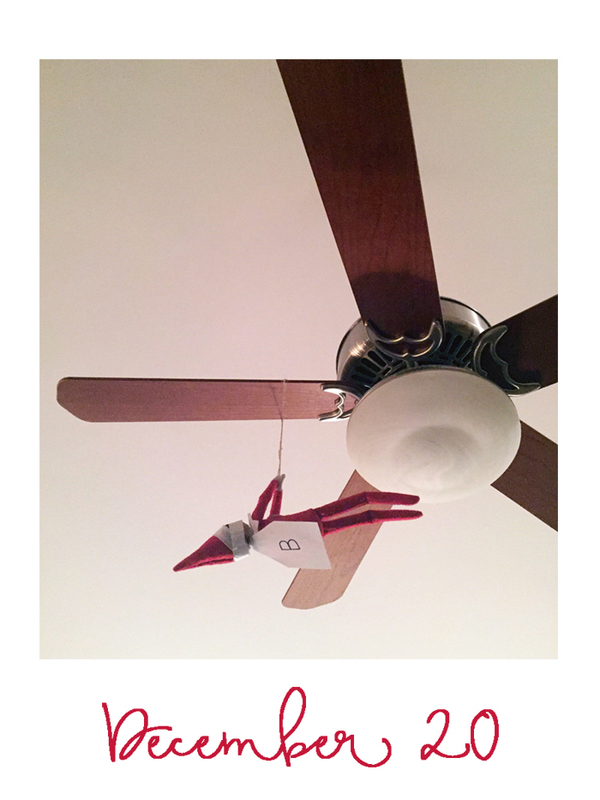 So we hung him from the fan. Noah still said it wasn't the ceiling, but he did like this one, and Buddy stayed there all day long! 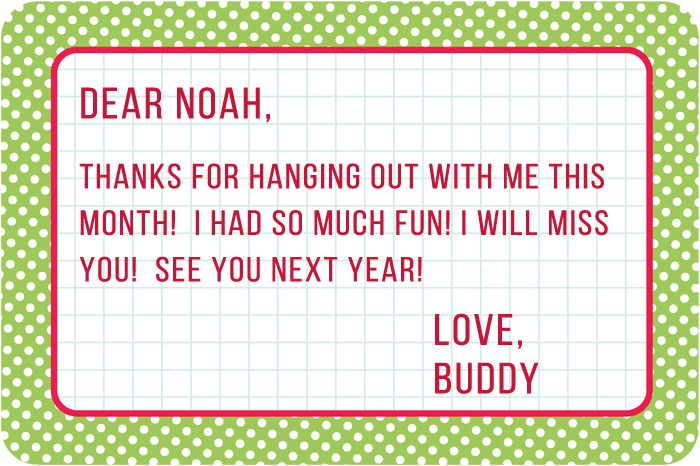 Tomorrow, Christmas Day morning, Buddy will be bringing Noah a small gift to say goodbye as well as this note. Until next year... it sure has been fun! 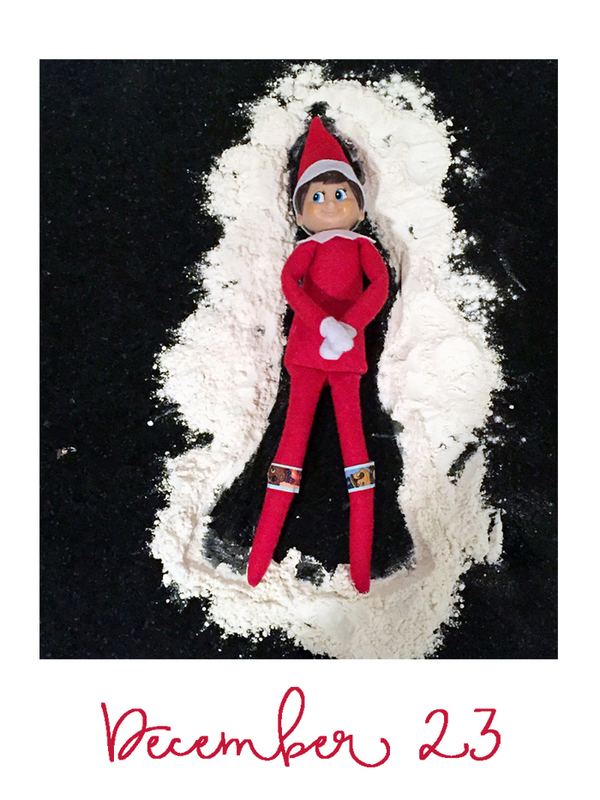 What has your elf been up to this last week? 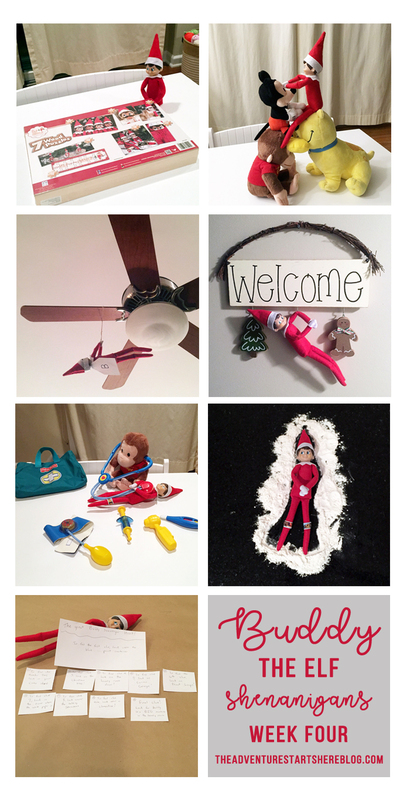 Our Elf has been so lame this year! 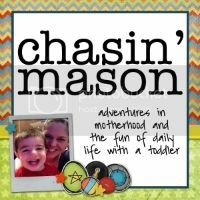 I pinned a ton of ideas for next year though, I love the one with Buddy getting checked out by the "doctor." So cute! Buddy has had a great month! 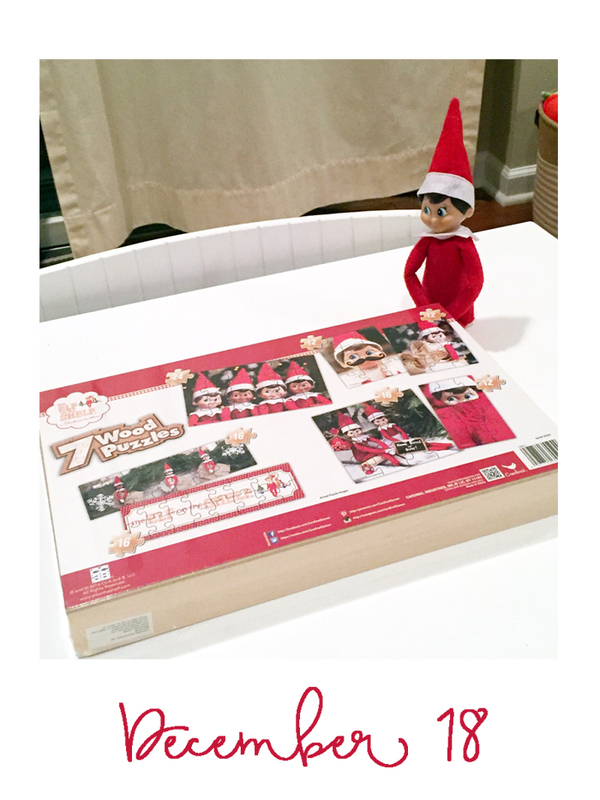 One year Bob brought the girls little stuffed elves (from Target). They get to keep them all year and love it. Merry Christmas!!! 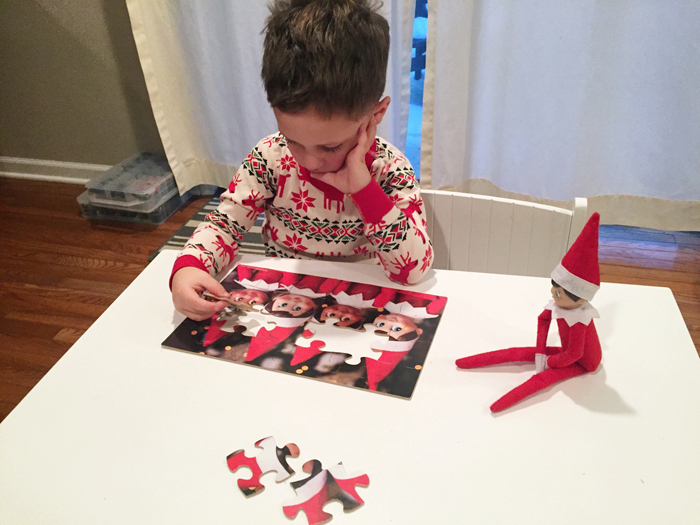 Where did Buddy find the puzzles? Those look like fun! Once again, you guys nailed it. 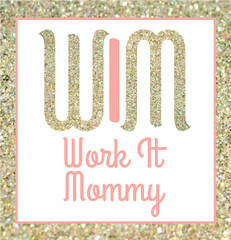 Always such unique ideas. 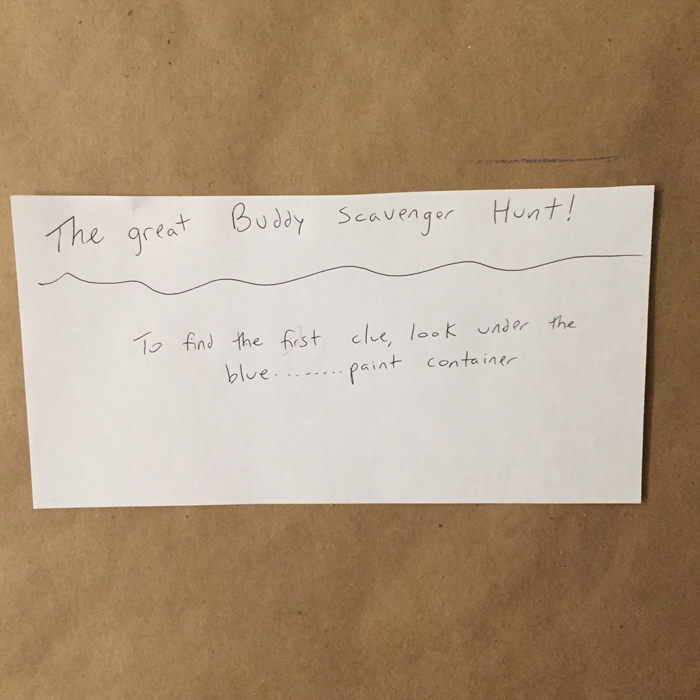 I love the scavenger hunt one. I will have to remember that for next year.